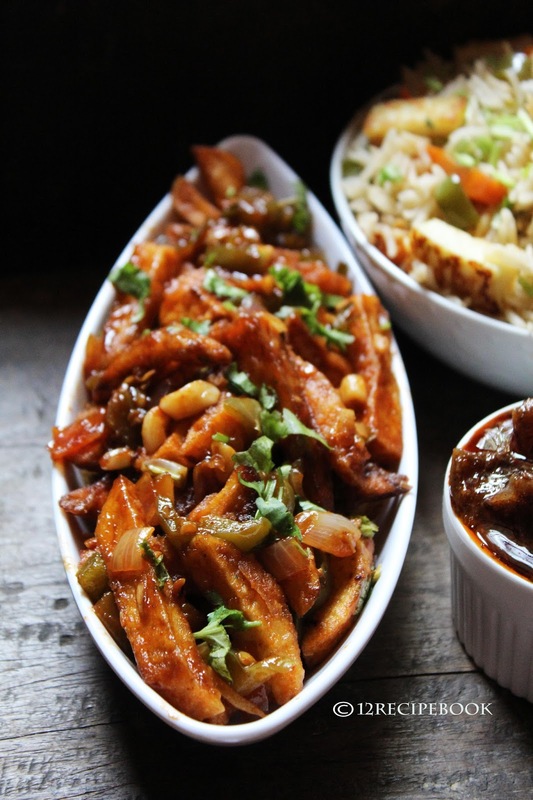 Chilli potato is one of the delicious Indo-Chinese vegetarian starter. The deep fried crispy potatoes are tossed with spicy thick sauce and tastes yum. Here is the recipe for making easy chilli potato at home with simple ingredients. Peel the potatoes and chop them to long strips. Toss it with corn flour and salt. Deep fry them in hot oil until nice golden. Heat 2 tbsp of oil in a pan; add sugar; when it turns brown add ginger, garlic and green chilly. Saute for two minutes; add cubed onion and capsicum. Add chilly powder and little salt; mix well. Add 1/4 cup of hot water (or less)and cook for a minute. Add fried potato pieces and mix well for a minute. 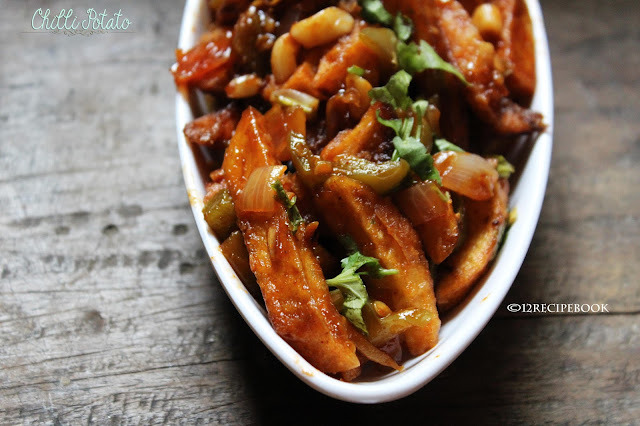 Serve hot as a starter or in side with paratha or any flat bread.